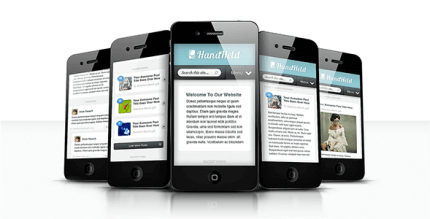 Elegant themes is a team of developers united by the idea of creating a simple, beautiful, elegant design. For 10 years, Elegant themes evolved from a single-person company into a large team of WordPress enthusiasts from around the world. 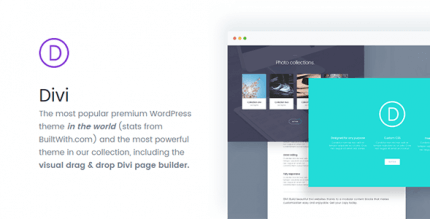 Divi is the flagship theme of the company with a built-in page builder, which, according to BuiltWith.com, is the most popular premium WordPress theme in the world. Divi is more than just a theme – it is rather a powerful tool that allows creating beautiful websites without having to code and install dozens of additional plugins. The advanced Divi Builder visual drag & drop page editor (thanks to which the Divi theme has received such a great success) is also available as a separate plugin that can be used with any theme. Extra – an ideal theme for bloggers and online publications. It works on Divi Builder and gives maximum flexibility in creating pages and posts. Bloom – a mailing list plugin and an excellent solution for the marketing field. Monarch – one of the best WordPress plugins for social networks.